It’s official: PokerStars is back in the United States! Following PokerStars’ soft launch last Friday, they initiated a full launch earlier today (Mar 21). This means that every adult New Jersey resident finally has access to the world’s largest online poker site. Stars had to iron out a few hiccups in their software before being approved by the New Jersey Division of Gaming Enforcement, including minor download problems and certain players being redirected to the dot-com site (instead of NJ URL). But PokerStars was able to fix these issues over the weekend and be ready by 12:01am for the full launch. As of noon today, there were over 170 cash game players on the tables, and the tournaments were running strong too; so Stars is off to a pretty good start on their first day. But it may be some time before we see the exact impact that the site will have on New Jersey’s online poker market. Poker pros have already discussed heading out to New Jersey to participate, including Chris Moneymaker, Barry Greenstein, Mickey Petersen and Vanessa Selbst. Obviously these players won’t have the same pool to draw from as with PokerStars’ international site. But at least they might find some soft games as excitement over the launch brings fresh recreational players. The key, though, will be for more US states to legalize/regulate online poker and create greater liquidity. PokerStars has been lobbying New York pretty hard to legalize iPoker. California and Pennsylvania also seem serious about the matter, which means that three of the largest US states could eventually regulate the game. 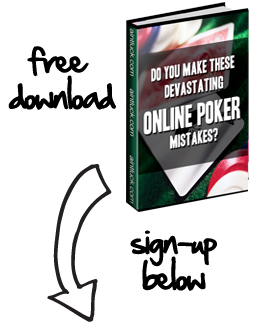 But for the time being, PokerStars NJ will be the pinnacle of iPoker for US citizens.